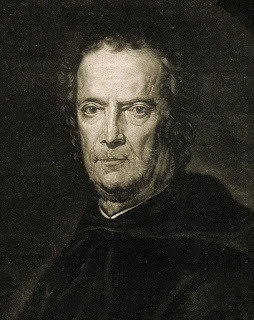 Historian, scientist, writer and statesman Paolo Sarpi died on this day in 1623 in Venice. 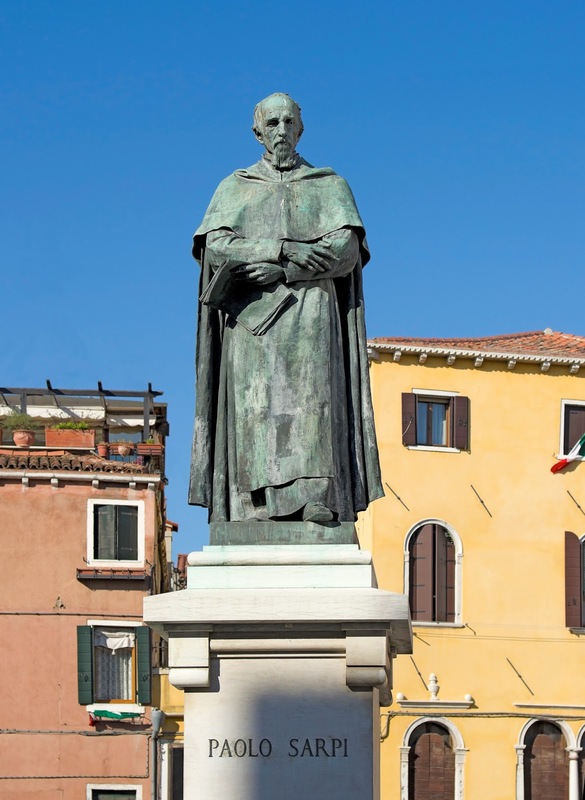 He had survived an assassination attack 16 years before and was living in seclusion, still preparing state papers on behalf of Venice, writing, and carrying out scientific studies. The day before his death he had dictated three replies to questions about state affairs of the Venetian Republic. He had been born Pietro Sarpi in 1552 in Venice. His father died while he was still a child and he was educated by his uncle, who was a school teacher, and then by a monk in the Augustinian Servite order. He entered the Servite order himself at the age of 13, assuming the name of Fra Paolo. 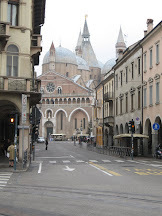 After going into a monastery in Mantua, he was invited to be court theologian to Duke Guglielmo Gonzaga. 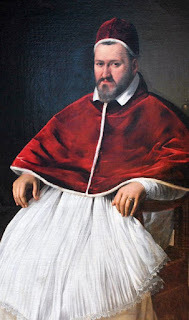 He then went to Milan, where he was an adviser to Charles Borromeo, the archbishop of Milan, before being transferred back to Venice to be professor of philosophy at the Servite convent. At the age of 27, Sarpi was sent to Rome, where he interacted with three successive popes. 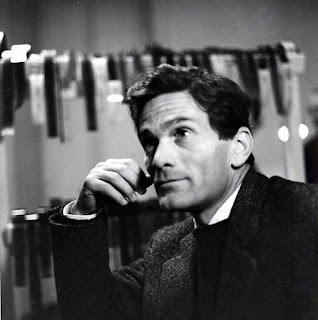 He then returned to Venice, where he spent 17 years studying. His writings were highly critical of the Catholic Church. 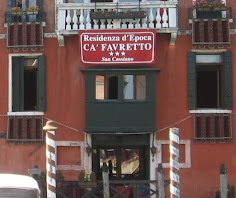 Sarpi was a defender of the liberties of Republican Venice and a proponent of the separation of the church and state. Afterwards, however, Sarpi became the target of an assassination attempt instigated by the Pope. 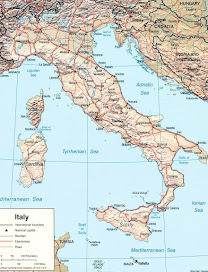 In 1607, an unfrocked friar assisted by two other people agreed to kill Sarpi for the sum of 8,000 crowns, but the plot was discovered and they were arrested and imprisoned after crossing into Venetian territory. The following month Sarpi was attacked and left for dead with 15 stiletto thrusts. His attackers were welcomed back into papal territory but the pope’s enthusiasm for them cooled after he discovered Sarpi had survived his injuries. 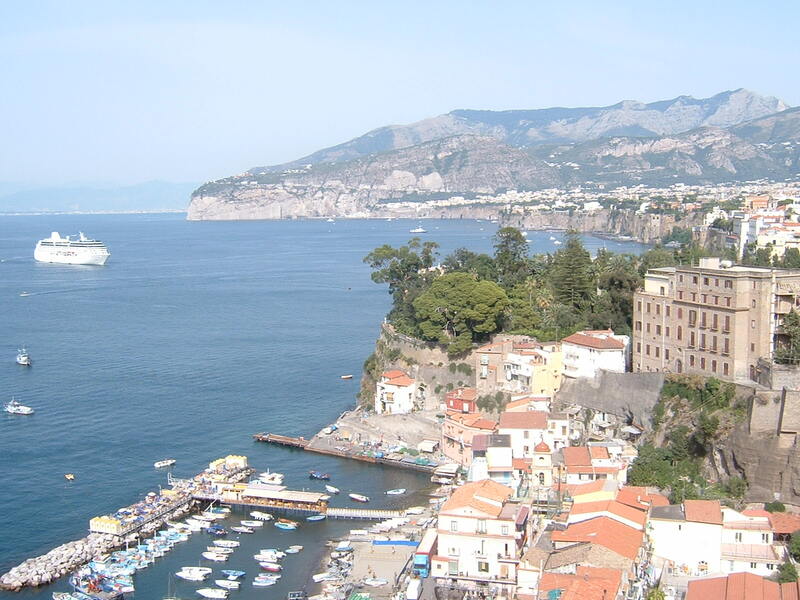 His would-be assassins settled in Rome and were granted a pension by the viceroy of Naples. Plots continued to be formed against Sarpi and he occasionally occasionally spoke of taking refuge in England. These words were later adopted as the state motto of American state of Idaho and appear on the back of the 2007 Idaho quarter. 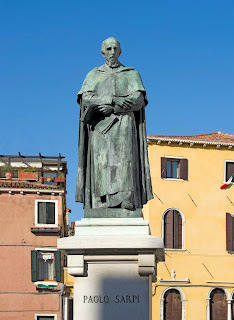 A bronze statue of Paolo Sarpi stands on a monument to him in Campo Santa Fosca in the Cannaregio district of Venice near Strada Nova. It is close to the place where he was stabbed by the Pope’s would-be assassins. 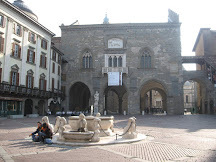 Liceo Classico Paolo Sarpi, established in 1803, is a public high school in Bergamo’s Città Alta, which is ranked highly nationally because of the teaching methods and the subjects studied. Students shared their experience in a 2012 television documentary film, Gli anni e I giorni.